Warning: These projects are rated 212º and will be hazardous to youth illiteracy, teacher instability, delinquency and "youth public enemy" #1 (impossibility thinking). 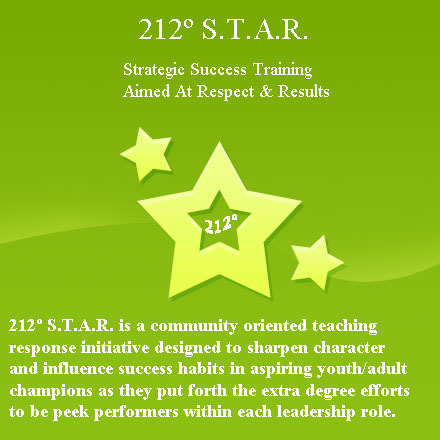 GPS 212º P.T.I is community intervention and development projects out of the GPS HUDDLE STRATEGY. The vision is to establish a single minded network and implementation task force to act transitionally on the ocean of youth and cultural changes in community. The GPS 212 VALUES anchor extra degrees of confidence, leadership and courage necessary for teachers, students and parents to maximize educational, vocational and community resources. 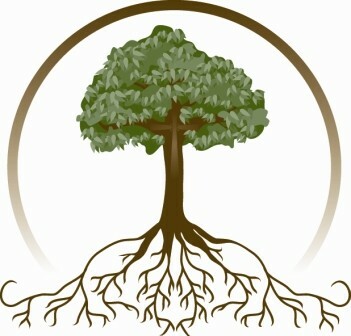 We offer free of charge to professional, educational, and faith-based leadership teams complimentary 212º S.T.A.R spotlight events (as scheduling permits) to raise the collective consciousness of the extra degree leadership factors. Each event is inclusive of active youth being impacted by S.T.A.R. and energized by ARK AV ARK AIR projects and youth performance teams.